You're viewing information for Buyers. Click Here if you're a Seller. 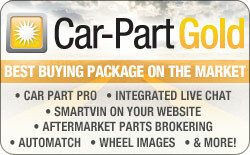 Car-Part Salvage User Guide - NEW! Car-Part Salvage Registration Activation Instructions - NEW!